The Nobel Committee announced today that 17-year-old Pakistani activist Malala Yousafzai has been awarded the Nobel Peace Prize, exactly two years one day after the Taliban attempted to murder her for advocating for the education of Pakistani girls. She's the award's youngest ever recipient. Yousafzai shares the prize with 60-year-old Indian activist Kailash Satyarthi, according to Reuters. Both Yousafzai and Satyarthi have devoted their lives to assuring that women and young people have access to education. 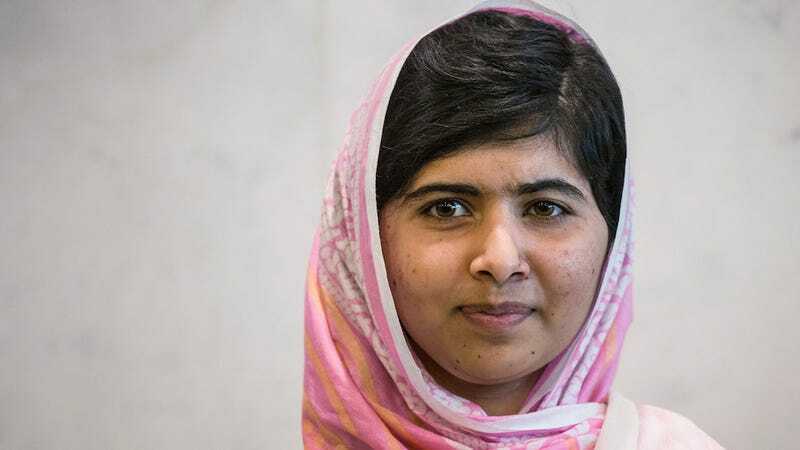 Yousafzai's activism so enraged Pakistani hard liners that when she was only 15, she was shot in the head on her way to school in a targeted assassination attempt, and hasn't been able to return to her homeland since over threats of violence against her and her family. In 1980, Satyarthi left his career as an engineer to campaign against child labor. Both will receive their awards in Oslo on December 10th.